1. Preheat oven to 180°C and grease 6 x 1 cup muffin tins. 2. Cut puff pastry into six squares and gently press pastry squares into muffin tin with the corners overhanging the rim slightly. 3. In a small bowl combine apples, cinnamon, brown sugar and lemon juice. Spoon the apple mixture evenly between the pastry cases. 4. 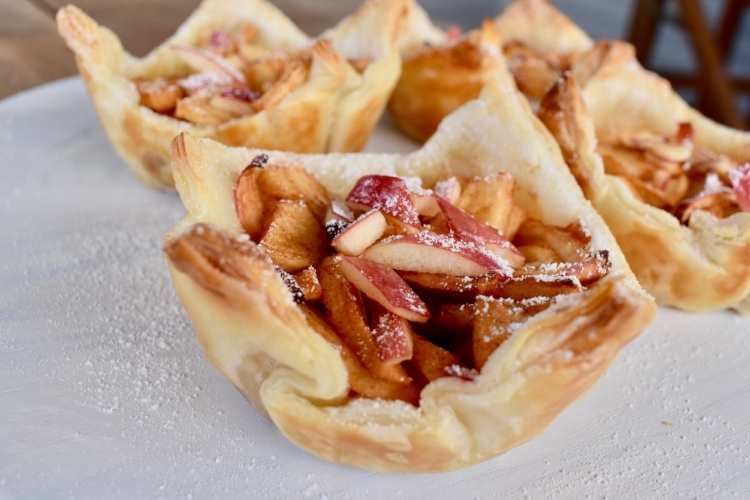 Bake for 20 minutes or until the apples are soft and the pastry is golden and crisp.